Even though not all music festivals use social media regularly and effectively, the majority are out there on Twitter, Facebook, Instagram, Tumblr, Google+, YouTube, Vine… – you name it. For those who are active on social media, the ways they use each platform are relatively similar. Twitter is used as the main and reliable source of information: to inform followers about line-up bands, tickets, logistics, etc. Music festival organisers also use Twitter to answer questions and offer support for those who need assistance. There are also games and competitions set up to engage Twitter users. Facebook is also used for line-up announcements and ticket sale promotion. Although the purpose is similar, the textual and visual content shared on Facebook can be different from that of Twitter. Tweets are often brief, due to the 140-character limit. In popular tweets, hashtags are often included. Facebook posts can however have much longer text, but visual content is often the most popular. More and more music festivals also have a high number of followers on Instagram. Prominent examples include Tomorrowland, Amsterdam Dance Event, Secret Garden Party, and Roskilde Festival. Organisers use creative photos and videos to engage visitors and fans. Some festivals also have professional videos (music performance and aftermovies) made and shared on YouTube and Vine. Organizers from Tomorrowland, Sziget, Exit and Glastonbury truly integrate such video platforms into their social media strategy so that they could reach a wider group of audience and attract more fans. Let’s have a closer look into the top 15 music festivals in Europe and check out some examples from their social media accounts. The Glastonbury Festival of Contemporary Performing Arts started in 1970, the day after Jimi Hendrix died. It is the biggest music festival in the UK, and the world’s largest greenfield music and performing arts festival, with 175,000 visitors annually. As tickets always sell out within minutes, Glastonbury Festival don’t really need to promote their event on social medial. They keep their Facebook and Twitter strategies simple but relatively effective, considering the number of likes and shares. They also use social media to provide prompt support for those need assistance. The Vine accounts sharing snapshot videos of their events are great add-ons to their social strategy, which has not been seen in many other festivals. They have a Facebook Page for the Glastonbury Festival and a Facebook Event for each year’s festival. The Facebook Page focuses on sharing lineup updates, promoting festival-relating activities and keeping the buzz throughout the year. The most popular posts are lineup announcement, and they often include a photo. The Glastonbury Festival also set up a Facebook Event every year, to encourage people to join and discuss about the festival. The use of this Twitter account is very similar to the use of their Facebook Page. You can see the Adele announcement is word for word out of their Facebook Page. They could have used hashtags to make the tweet more “Twitter friendly”, but they didn’t. The main Twitter account is also used for retweeting partners, sponsors and bands, sharing news in the music world, such as David Bowie’s death, and commenting on current events of the UK, like the #EUreferendum or Calais migrants. The use of hashtags is rare on this account. Glastonbury Festival also have a “live” account, @GlastoLive. Their helpline account, @GlastoInfo, shares on-site updates and provides support to folks at the festival. Their co-founder – @emilyeavis – is also very active in tweeting information about the festival. There you are again informed about Adele’s Saturday performance at the coming 2016’s festival. 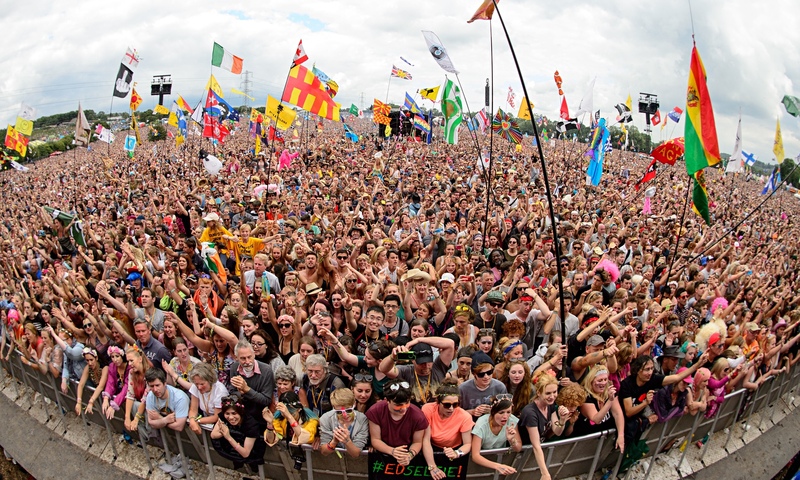 A great addition to Glastonbury Festival’s social strategy is the use of Vine. Their GlastoFest account has more than 24,000 followers and is used to share snapshots of different aspects of the festival every year. They also have “live” account for sharing videos of the acts. Tomorrowland is a renowned electronic music festival taking place in Belgium annually since 2005. There were more than 300,000 people attending 2015’s festival. Tomorrowland has a YouTube channel sharing their “Game-of-Thrones-style” aftermovies. As of today, Tomorrowland’s YouTube channel has 4,840,616 subscribers. Their 2015’s aftermovie has earned more than 16 million views in six months. Their 2014’s aftermovie has been viewed more than 47.5 million times, which is 240 times more than the 2014’s aftermovie of Sziget. Note that Glastonbury don’t even have a YouTube channel. Their beautiful videos, which make a splash on YouTube, are shared on Twitter and Facebook to bring fans from one platform to others. The numbers of likes, shares and retweets show that Tomorrowland crews have had definite returns from the effort they put in to create those beautiful movies. Tomorrowland also have a 2.4-million-follower Instagram account, as of today. Most of their posts has thousands of likes because they excel at creating native content for Instagram: artsy photos, punchy text and correctly-used hashtags. It is obvious that creating stunning visuals is a strong point of the Tomorrowland marketing team, and they have use them very well to improve engagement with users on social media. Sziget Festival is a one-week festival held every August in Budapest, Hungary. Sziget Festival is one of the biggest multicultural events of Europe, attracting almost 400,000 fans to the seven days of non-stop parties and amazing live concerts. The festival’s official Twitter account – @szigetofficial – has nearly 67K followers. Most of their tweets come with a cosmopolitan image and hardly miss a hashtag. #szitizen is the hashtag for their Mission:Szitizen game, an international game the music festival’s marketing team put on to engage the most dedicated Sziget fans around the world. The hashtag has long turned into a noun referring to the community of Sziget attendees. Amsterdam Dance Event (ADE) is a five-day electronic music conference and festival taking place annually in mid-October in Amsterdam, the Netherlands. The festival attracts more than 2,000 artists and 365,000 visitors, and is truly the world’s biggest club festival covering the whole spectrum of electronic genres. ADE’s Instagram account has nearly 62K followers, as of today. Though their posts haven’t gained as much success as ones of Tomorrowland, they seem to go towards the direction of the Belgian festival. This photo could be a normal photo if it’s not for the light at the centre. It is strangely beautiful and really catch your attention. It could have been, however, improved with hashtags for visibility. Bestival is a four-day independent music festival, held annually on the Isle of Wight, England. The festival’s marketing team produce a steady stream of visual content throughout the year on all platforms: Facebook, Twitter, Google+, YouTube, Tumblr, and Instagram. Their Twitter account – @Bestiva – has more than 100K followers and is updated very frequently. 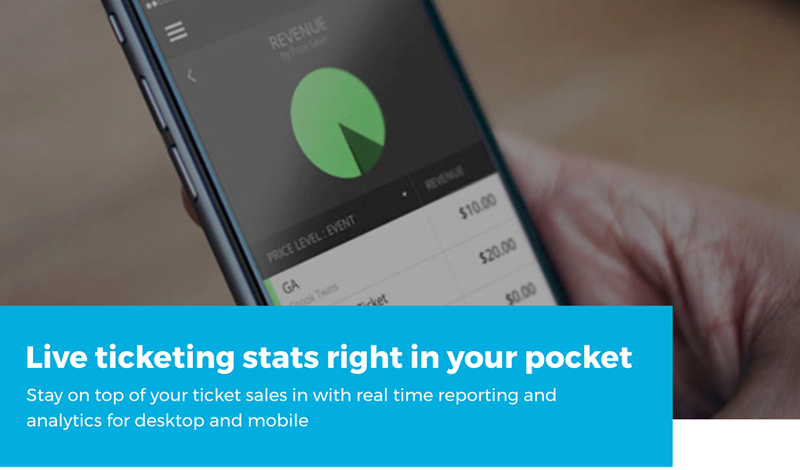 The team tweet daily with more than 5 tweets on some days during the ticket sale time. The content focuses on special ticket sales as well as pre-festival competitions. However, most posts have fewer than 10 likes and shares. The festival use the same type of content on Facebook as on Twitter, such as this post to announce their early bird tickets. During 2015’s festival, the team used Facebook to share a photo album of the day and got a lot more shares, likes and comments, comparing with their single-photo updates. Primavera Sound is a music festival which has been held in Barcelona, Spain since 2001. It is a four-day festival, running from Thursday to Sunday during the last week of May and/or the first week of June. The festival targets an audience slightly older with a more experimental music taste. Their social media strategy covers eight external channels and two in-house channels. Their content is sometimes in three different languages: Catalan, Spanish and English. 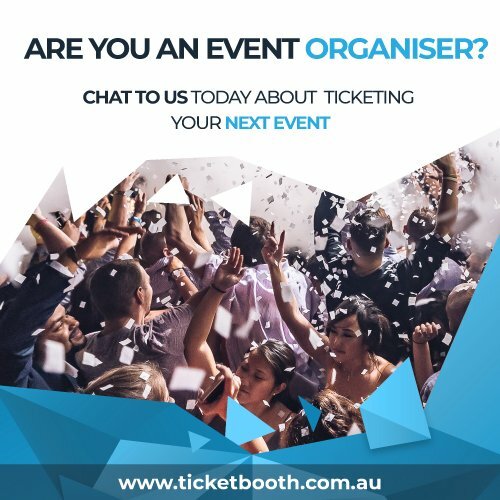 As many other music festivals, they reach their biggest audiences via Facebook and Twitter, thus use the two platforms to promote activities before, during and after each event. The festival partners with Deezer and Spotify to provide fans with music playlists. 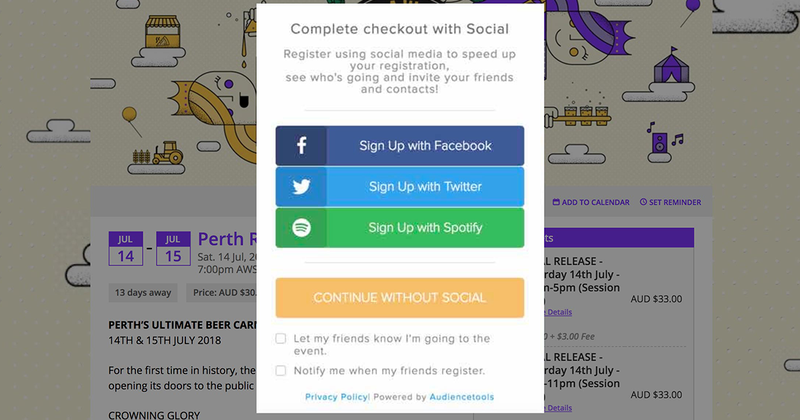 Their mobile app is also integrated into their social strategy, for users can use the app to contribute photos of the event to a public album. X Music Festival is the biggest festival in Wales, UK with a high-profile lineup featuring Craig David, Annie Mac, Stormzy, Hannah Wants, etc. As of this year 2016, the two day music festival will take place on 3rd and 4th of June. They start promoting their ticket sale for a festival soon as the previous one finishes. They also call for fans to become their ambassadors, which means helping with selling tickets. They keep their Twitter feed updated fairly frequently with attractive offers. However, engagement is not very high, probably because their visual content is quite repetitive and they hardly use hashtags. For the announcement of every lineup this year (2016), the team use the same photo on both Twitter and Facebook. They however customize the copy. The changes in the copy show that their social media team understand the importance of creating native content for each platform. This is more of an effort than what many other music festival organizers, including Glastonbury, put into their social media. However, it would be better if they customize the photo as well, especiallyto a photo-focus platform like Instagram. Here we see the same photo again even though it does not have the artsy character of photos that would make a popular Instagram post..
Exit is a summer music festival born in a student movement for peace and democracy in Serbia and the Balkans. It is now an award-winning festival run yearly by a non-profit organization. Their Twitter account has almost 41K followers and is used to announce lineups and ticket sales – the similar type of content found on Twitter accounts of most music festivals. They also use Twitter to bring followers across platforms. This technique works particularly well if you want a piece of content, that is native to only one platform, reach a larger audience. Secret Garden Party (SGP) is an annual independent arts and music festival which takes place near Huntingdon, England. While the festival has more than 49K followers on Twitter and 150K likes on Facebook, their 10K-follower Instagram account gets the most engagement thanks to the use of native content. Check out the psychedelic photo and the use of many hashtags – no wonder why it has 400 likes and many notagical comments. Iceland Airwaves festival is an annual music festival held in Reykjavík, Iceland every November. The five-day festival focuses on showcasing new music, both Icelandic and international. The festival’s social media strategy covers Twitter, Facebook, Instagram, Tumblr and Google+. However, they use the same content on different platforms. Check out how Iceland Airwaves team shared the news of their award for “music event of the year”. The copy and the photo are great for a Facebook post. The hashtags, however, are out of place because they don’t improve anything for a Facebook post. If you check out their Instagram account, you will see where the hashtags come from. They share the same news on Twitter, but cleverly divert their followers from Twitter to Instagram to increase the reach of the Instagram post. All in all, it’s a good use of all three platforms for sharing this one big news. However, it could have been better if they had taken out the hashtags on Facebook and shorten the copy on Instagram. Soundwave Festival is three-day music festival held annually in Croatia. It is a relatively new festival, with 2016 being its 7th year. The festival has three main social platforms but the following numbers are quite small compared with other festivals on this list. Their Twitter account – @soundwavecro – has fewer than 5,000 followers and is used for ticket sale promotion and lineup announcement. Their visual content is stunning across all platforms, which is why they get the highest engagement level on Instagram. Roskilde Festival is an annual week-long international cultural event taking place in Denmark. All profits from the festival are donated to humanitarian and cultural work. Their Facebook Page has more than 300K likes while their Twitter has nearly 120K followers. Their Instagram account also has 49K followers. They have customized content for each of those platforms. Popular Facebook posts are often video-related with long copy. Tweets are short and sweet, with the majority focusing on logistic information. Many of their Instagram posts have more than 1000 likes, thanks to the visually stunning content and the proper use of hashtag. Donauinselfest is an open-air free music festival taking place annually at Donauinsel in Vienna, Austria. The festival is considered the biggest open air event in Europe. Unlike most music festival, Donauinselfest doesn’t have a strong presence on social media. They have a Facebook account with fewer than 300 likes, a Twitter account with 10 followers and no tweets, an Instagram account with a little bit more than 300 followers. The seemingly-neglected social media strategy is probably due to the free-entrance: there’s no need to use social media to sell more tickets. Insomnia Festival is a festival for innovative electronic music held in October in Tromso, Norway. The festival has some presence on social media but updates are irregular. During the 2015’s festival, apart from two retweets, they sent out one tweet of their own and had no engagement. The Insomnia team are a bit more active on Facebook, posting photos and videos of performance, updating festival-related news as well as creating Facebook Events during the festivals. However, engagement there is also quite low with fewer than 10 likes and shares for an average post. Mandrea Music Festival takes place every summer, late July and early August around the famous Lake Garda, Italy. 2016 will see the festival’s 5th edition and early-bird tickets are now on sale. Their Facebook Page has the most fans (around 4,000 likes), and is used to share music videos, announce line-ups and promote ticket sale. They have also set up a Facebook Event for Mandrea Music Festival 2016 as a forum for visitors to ask questions and share their experience though, as of today, there are no comments left. Their Twitter account, @MandreaFestival, has only 62 followers, as of today. Tweets are sent irregularly and not at all during 2015’s festival. Similarly to Insomnia and Donauinselfest, Mandrea Music Festival belongs to the group of festivals that haven’t paid much attention to their social media. The reason might be that they are young, small and/or free festivals, so they don’t have the resource to manage various social media accounts. It’s true that building a strong presence on social media takes time and money. However, with everyone going social, music festivals can’t afford to stand aside and do little. Some music festivals gain an increasing number of followers on Instagram thanks to the effective use of the native content on the platform.